Blue Nation eNews: Leading with Pride! Plano West Sr. High School SBIC Parent Volunteers Sought! You should check the trophy case in the main hallway on Monday to see in which room you will be testing. Ø The PSAT begins at 9:00 a.m.
Ø Food and water should be left in your locker or backpack. Ø Cell phones and other electronic devices are not permitted at any time during the test. Cell phones and other electronic devices can cause a PSAT test to be invalidated. Be sure to get a good night’s sleep Tuesday night and eat a good breakfast on Wednesday morning. Students who are not testing are expected to be present and follow their regular class schedules. PLEASE CHECK THE SPELLING OF YOUR NAME ON THE LIST (LOCATED IN THE MAIN HALLWAY) AND REPORT ANY CHANGES OR MISSPELLINGS TO THE OFFICE MANAGER AT THE FRONT OFFICE BY FRIDAY, DECEMBER 11, 2015. BE AWARE THAT YOUR DIPLOMA WILL BE ORDERED WITH THE NAME THAT IS CURRENTLY LISTED UNLESS YOU CONTACT MY OFFICE TO LET ME KNOW THAT YOU WANT TO MAKE A CHANGE TO YOUR NAME BY FRIDAY, DECEMBER 11, 2015. New students: If you haven't had your picture taken for your student ID card, stop by Mrs. Johnson's desk in the front office before school, during lunches or after school. Plano West Sr. High School SBIC Parent Volunteers Sought! We are currently in the process of forming the PWSH School Based Improvement Committee (SBIC) for 2015-2016 school year. The committee consists of principals, faculty, PTSA representatives, community members, business representatives, students and parent volunteers. The role of a committee member is to attend three meetings throughout the school year that are held at Plano West, usually during the lunch hour. Parent volunteer members will be selected by random drawing from the pool of applications received. If you would like to be considered, please submit your name by clicking on the link and submitting your name by 5:00 PM on Friday, October 9. We will notify those selected via e-mail by the end of the day Monday, October 12. Please submit your information to http://tinyurl.com/PWSHSBIC2016 . STATE FAIR TICKETS FOR STUDENTS are available and can be picked up in the sub-school office, counseling office and the front office beginning today. Student State Fair tickets are good on Sundays ONLY beginning Sunday, September 27, 2015. Federal Meal Applications can be submitted by a household anytime throughout the year, and a new application is required every year for those households wishing to apply for benefits. To provide households with sufficient time to submit an application for the current year, the first 30 days of every year a grace period is granted, where the previous year’s benefits are extended. This year, the grace period will end, and those without approved applications will roll to a paid status on October 6th. For households that received free or reduced price meal benefits last year, it is highly recommended that they complete and submit their new Federal Meal application to allow enough time for the application to be reviewed and processed before the 30 day grace period ends, and before a lapse in meal benefits. It is very important for the application to be submitted and approved before the grace period expires, to avoid charges accruing to the students meal account. These charges are not retroactive and remain the financial responsibility of the parent, even if an application is later submitted and approved for benefits. Food and Nutritional Services (FANS) will be sending out a phone message reminder this evening to households who were on the program last year but have not yet reapplied. If this office can be of any assistance, please do not hesitate to contact us! If you have taken part in community service activities over the past year, fill out an online application form at http://spirit.prudential.com or www.nassp.org/spirit. The form must be completed and submitted online by November 3, 2015. In the application, identify Associate Principal, Randy Hayes, as your certifier. Two students will be selected to represent Plano West at the State level and will become eligible for a chance to win an award of $1000 or more, a medallion, and a trip with a parent to Washington, D.C. in the spring. National Honorees receive an additional award of $5,000, an engraved gold medallion, a crystal trophy for their schools or organizations, and a $5,000 grant from The Prudential Foundation for a non-profit, charitable organization of their choice. NASA seeks high school juniors interested in space and science! The High School Aerospace Scholars application is now open at: http://has.aerospacescholars.org. The deadline is November 3. High School Aerospace Scholars (HAS) is a NASA unique opportunity for juniors who are interested in science, technology, engineering, and math (STEM) at no cost to participants. Selected students will participate in an interactive, online course during the school year that culminates in an all-expense-paid trip to NASA’s Johnson Space Center in the summer. For more information and application deadlines, please visit the HAS website at: http://has.aerospacescholars.org. PWSH Counseling is now using Remind! All students and parents are encouraged to join. The University of Alabama Thur. 15-Oct.
University of Arkansas Thurs. 15-Oct. Looking for scholarships can be overwhelming and confusing, and some national scholarships are very competitive. However, scholarships are out there and many of them are more accessible than you may think. Join us for an informative look at how you can find scholarships, regardless of income or major, and learn how to improve your chances of receiving a scholarship. Please note: Seating is limited. While there is no fee to attend, registration is required. Please go to www.collin.edu/destinationcollege to register. For questions, please call 972.377.1772. If you do not receive a confirmation email upon registering, please call to ensure your reservation was received. Hurry ~ Spaces fill quickly! SENIORS: Rank and GPA has been updated. You may ask for a free copy of your transcript with the new ranking at the Registrar’s Office. We will be glad to assist you before 1st period, during passing periods, during both lunches, and after 6th period. To have your transcripts sent to colleges, you will need to turn in a hard copy request to the Registrar’s Office. Log in to Naviance/ Family Connection. · First add your colleges and click “request transcripts” button. · Then click the “colleges I’m applying to” link. This page should have your list of colleges, along with an icon (computer symbol or postage stamp) to the right of the college name. · Turn it in to the Registrar’s Office. VOLLEYBALL: After their big WIN against Plano Friday, the Lady Wolves will travel to Flower Mound Marcus tonight. JV @ 6, Varsity @ 7...GO WOLVES!! Student ($4) and adult ($6) general admission tickets for the PWSH @ Lewisville at Goldsmith Stadium on Friday, October 9th go on sale Tuesday, October 13th at 10am through Friday, October 16th at 10am. See Mrs. Johnson in the front office. FCA - Fields of Faith. See attachment in email. Dine in at Pluckers (Parker & Preston) on Tuesday, Oct. 13 from 4-10pm and mention Plano West Cheer! Wrestlers meet at Plano West at 10:00 am - A bus will be going. Our scheduled appointment time is 11:00 a.m. Wrestlers wear a singlet under your clothes to weigh in. Bring $5 for the hydration test fee. This is required by the school districts to compete in wrestling. If you have issues with the date contact Coach Goodloe. The Plano West Baseball Booster Club is hosting its 17th Annual Golf Tournament benefitting the Plano West Baseball program on Friday October 23, 2015. We’d love to have you be a part of it by being a golfer or sponsor. Golf spots are $150 with a 1:00 p.m. shotgun start. Information and sign up forms are available on www.planowestbaseball.org. Please sign up to join the baseball boosters and coaches in a great day of fun, networking, golf, and dinner/auction! You are invited to the Plano West Basketball Casino Night and Auction benefiting the Men's and Ladies Wolves booster clubs. Saturday Oct. 24th, 7-10pm at Avignon Clubhouse 6016 Jacqueline Dr., Plano Tx. 75093. A share of the proceeds will also benefit the Lacrosse booster club. The Kendra Scott jewelry store at The Shops at Legacy is hosting a “Kendra Gives Back” shopping party for the Shepton Stallionettes Drill Team on Friday, October 16, from 5:00 p.m. to 8:00 p.m. The booster club will receive 20% of sales from the evening. This party will be the perfect opportunity to get a head start on some holiday shopping! The store’s address is 5800 Legacy Drive, Suite C2A, Plano, Texas 75024. Please contact Leslie Hyne at lesliehyne@verizon.net if you have any questions. Thank you for supporting the Shepton Stallionettes! Does your kid like to dance or cheer? Don’t miss “High Kicks and Herkies,” a dance and cheer clinic for students in kindergarten through fifth grades. The clinic will be held from 9 a.m. – 12:30 p.m. on Saturday, Oct. 17 at the Jasper High School (JHS) gym, 6800 Archgate Dr. in Plano. Cost is $40 and includes a t-shirt, snacks, photo opportunities with the JHS drill team and cheerleaders and a performance “show off.” Space is limited, and pre-registration is recommended. To pre-register, drop off registration and payment (payable to Jasper Jazz Booster Club) at the elementary front office, JHS front office, or mail registration and payment to: Jasper High School, 6800 Archgate Dr., Plano ,TX 75024, Attn: Jasper Jazz/April Lutts. Day-of registration will be held starting at 7:30 a.m. on Oct. 17. For questions or a registration form, contact Marcy Cadena-Smith at mcsmith1210@gmail.com. Spots are limited, so register today! Sponsored by the Jasper Jazz Booster Club. Get your tickets for the “The Great Jazzby,” an entertaining evening featuring both a live and silent auction, a raffle and an thrilling dance performance by the award-winning Jasper Jazz drill team. Mark your calendars for 6-9 p.m. on Saturday, Oct. 24 at the Jasper High School cafeteria. Tickets are $25 in advance or $30 at the door and include dinner catered by Romano’s Macaroni Grill. Want to check out the auction only (without dinner)? Purchase $10 tickets at the door. Auction items range from Brighton, Kendra Scott and Stella & Dot jewelry to private parties from Total Wine or Oil & Vinegar to fitness passes and memberships, a wide range of restaurant gift cards, a round of golf at the Stonebriar Country Club, Plano Symphony tickets and so much more, including a football autographed by Tony Romo, Jason Whitten, Dez Bryant and Brandon Weeden. To purchase advance tickets or for more information, contact Lisa Finnerty at lisafinnerty@yahoo.com. Don’t miss this entertaining event supporting the Jasper Jazz drill team. Get your tickets today! Sponsored by the Jasper Jazz Booster Club. 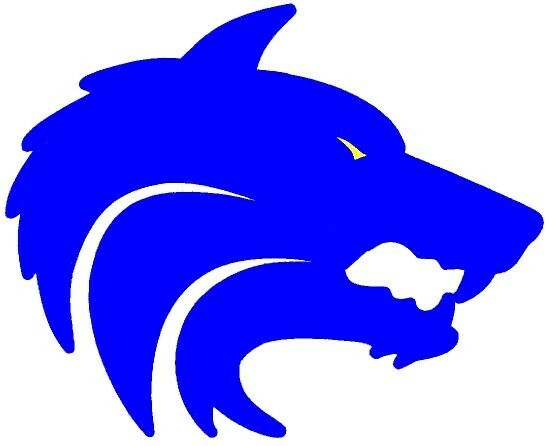 The Plano West Wolf Den PTSA will have a General Meeting this Wednesday, October 14th at 7:00pm in the Presentation Room at Plano West. PWSH Reads, our Plano West Book Club will hold its first meeting of the year on Tuesday, Oct. 13 at 4:30 in the library. Come prepared to talk about any good books you have been reading! Find us online at tinyurl.com/PWSHLibrary or on Twitter @PwSHReads. Spanish Honor Society: Final Call: Any members inducted at Shepton 2 years ago and last year here at West and are NOT in a Spanish class are still considered members and can participate in this year’s activities. All you have to do is pay your $25.00 dues by 9:00am Wednesday, October 14 to Ms. Elizondo in room A1096. Don’t miss out on the opportunity to join in on the fun and to wear the honors cords at graduation. Spanish Honor Society: Eligible candidates, the dues deadline has been extended to 9:00am Wednesday, October 14. Don’t delay and get your dues in to Ms. Elizondo or Ms. Ortiz. The Plano West Choir will be selling Swan Creek Candles during both lunches on Wednesday and Thursday, October 14 & 15. Stop by and smell the nine wonderful fragrances and place your order for these amazing Hand Pour, Clean burning Candles. Thank you for supporting the Blue Nation Choir. FFA is selling Durham Ellis Pecans again this year. Don’t miss this opportunity to have freshly picked pecans for Thanksgiving. We are selling 1 lb. bags of halves or pieces, 12 oz. bags of frosted pralines, and jars of syrup pecan topping. Prices range from $6.50 - $10.50. Contact an FFA member or Jamie Hanna at jamiehanna@verizon.net to order some today! Best Buddies is a one to one friendship matching program. If you are interested in becoming a peer buddy, associate buddy or an actual buddy please go online to www.bestbuddiesonline.org and sign up! If you are renewing, please make sure to go on the website and renew your membership! If you have any questions please contact Jillian Haug who is the Chapter President or Ms. Earl in A1153. NHS and Books for Friends will holding the Plano West Book Drive! All books donated will go to less fortunate elementary schools in Plano. If you have lightly used elementary level books, please drop them off in the Plano West library starting from Mon. Oct 5 to Thus. Oct. 15. There won't be any service hours for donating, but this is your chance to truly stand for service. Students who are not in NHS are also encouraged to donate! Share a love of reading with those in need! Wanna be cool? Join the Engineering Club today! Come check it out in Mr. Coryell’s room, G205, every Thursday at 4:25pm. Plano West Badminton Club will have our next meeting this Friday the 16th at Plano Badminton Center. The address is 4050 Premier Drive, Plano 75023 from 4:45 to 6 pm. Carpools will be available to the center upon request. You can find more details at our Facebook page, PWSH Badminton Club. Bring your friends, and we'll see you there! Not sure if the NEW SAT or the ACT is better for you? Want to take a practice SAT and ACT before the real thing? Want to get some feedback on which score is higher? Join us on October 31 from 8am until 1pm for a practice SAT and ACT (shortened versions of each). The test will be administered by Kaplan representatives under standard testing procedures. You will receive individual follow-up about your scores. The cost is $20 (discounts available for students who qualify for free / reduced lunch). Please bring payment to A2064 by October 23, 2015. For questions, please email Allison.Venuto@pisd.edu. The Heuristic Howler - Calling all writers, artists, photographers, and anyone else with a creative flair! If you would like your work to be published and recognized, submit to the Plano West literary magazine, The Heuristic Howler, at pwshwritersguild@gmail.com Pieces of writing should not exceed 2000 words, and art should be sent as clear pictures. Make sure to include your name (can be anonymous or use an appropriate pseudonym), the type of submission, and an attached file of your work. Submissions will be reviewed on a rolling basis, and earlier submissions will be prioritized. The link to last year's literary magazine can be found in the attachments. Unleash your artistic talents and participate in Reflections! Reflections is a National PTA sponsored arts recognition program that encourages artistic expression. The theme for this year is "Let your Imagination Fly.” Reflect on the theme and be recognized for creating an original work in any of the following areas: dance choreography, film/video production, literature, photography, musical composition, and visual arts. NEW FOR 2015: Each entrant must have at least one PTSA member in their family as of September 30. Visit www.wolfdenptsa.org for membership information. The deadline for submitting "Let your Imagination Fly" Reflections entries is Monday, November 9th. Entries will be collected in Ms. Johnson’s office. A completed Student Entry Form must be submitted with each entry. All entry rules along with a copy of the Student Entry Form can be found at www.txpta.org . Please contact Nancy Delamater at nancyd0731@gmail.com if you have any questions. The Wolf Den PTSA makes it super easy to join the PTSA, sign up to volunteer, enter your own information into our online Student Directory, and purchase a Student Agenda/Planner for your student. Plano West parents have always shown great support of our PTSA, and we want that to continue! Please go to https://planowestptsa.membershiptoolkit.com to join the PTSA today! Don't forget that students who join the PTSA in BOTH their junior and senior year are eligible for a PTSA Scholarship. Last year six students were awarded $500 scholarships during the Senior Lunch in May! Your membership fees go towards funding activities that directly benefit our school AND our students. For a complete list of where the money goes, please click on the link at the bottom of this Wolf Howl. Please email Susan Argyle at membership@wolfdenptsa.org with any questions. You can also access the toolkit from a within our website www.wolfdenptsa.org.